The Force is seriously powerful financially, with Disney-Lucasfilm&apos;s Star Wars: The Last Jedi tracking to deliver about $US425 million ($A595 million) worldwide in its opening weekend. More than a dozen international markets will open Wednesday, led by France and Italy along with Belgium, Denmark, Finland, Israel, Netherlands, Norway, Sweden, Switzerland, Turkey, Indonesia, Philippines, and Taiwan. On Thursday, key markets include Germany, the UK, Australia, Korea, Russia, Brazil, and Mexico. Previews begin at 6 pm Thursday in North America. On Friday, the domestic launch will take place at about 4,175 theatres in the US/Canada including nearly 410 Imax screens, 640 premium large format, 3,600 3D locations, and 212 D-Box locations. The total will be slightly higher than last year&apos;s Rogue One: A Star Wars Story, which opened at 4,157 locations. The largest Thursday night preview gross in North America is Star Wars: The Force Awakens with $US57 million two years ago. Rogue One opened with $US29 million in Thursday night previews. 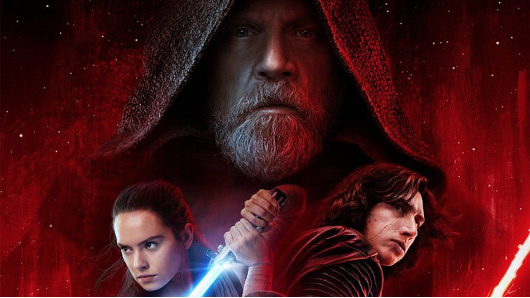 Domestic tracking for Star Wars: The Last Jedi has remained in the $US200 million range since November 22, when first tracking estimates emerged. If that figure holds, The Last Jedi would be the fourth-largest opening of all time after Star Wars: The Force Awakens, Jurassic World, and "The Avengers. Star Wars: The Force Awakens opened with $US248 million amid massive anticipation for the first Star Wars movie in a decade. It wound up its domestic run with a record-setting $US936 million. Directed by Rian Johnson, the movie picks up where 2015&apos;s Star Wars: The Force Awakens left off. It stars returning cast members Mark Hamill, Carrie Fisher, Adam Driver, Daisy Ridley, John Boyega, Oscar Isaac, and Andy Serkis. The new cast members include Kelly Marie Tran, Laura Dern, and Benicio del Toro. The movie marks the final film role for Fisher, who died last December. Fandango reported Tuesday that Star Wars: The Last Jedi had become its top advance ticket-seller of the year, topping previous record-holder Beauty and the Beast.